Christmas is the day that holds all time together. It is the perfect time to celebrate the love of God and family and to create memories that will last forever. It’s beginning to look a lot like Christmas. 1. Show your cards: Do you hang onto Christmas cards that are too pretty to throw out? Turn them into works of art. Attach a card front to matboard using Spray Mount, double-sided tape, or rubber cement. 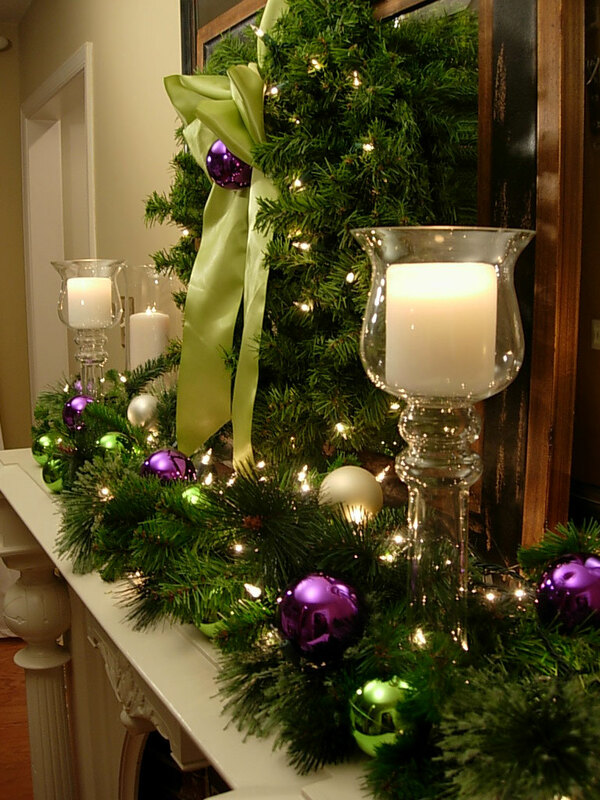 Trim to fit just a single card, or cover a large piece of matboard with multiple cards, and then decorate a doorway or tree. 2. 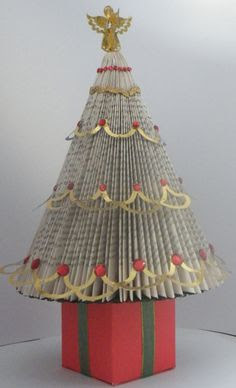 Newspaper Folding Christmas trees: By folding your Newspaper, magazine page over page, you can turn it into a cute, cheap Christmas magazine craft. 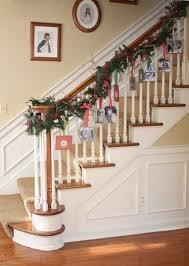 Trim with tinsel and ornaments left over from your holiday decorating, or spray gold or silver. 3. Just add water: Take clear vases or bottles, fill them with water, and add holiday-colored food coloring—a few drops will do. Then line the bottles up in a row, or decorate with floating candles for a festive touch. 4. Glue ornaments together: Skipping traditional crimson puts a fresh spin on a Christmas wreath. 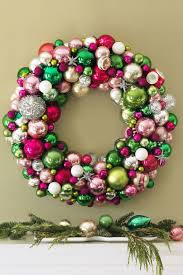 Branch out with pink and green baubles. 5. 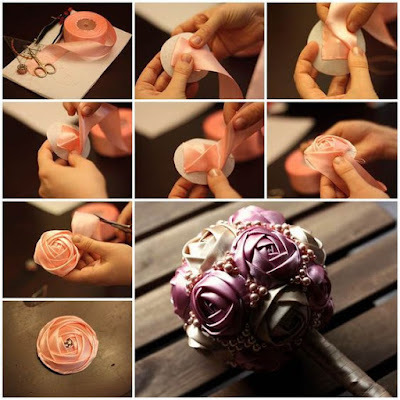 Add creative ribbons: You don't have to limit yourself to matching the ribbon to the paper. Put polka dots and checks on a flowery filigree like this. It's as much a gift as the gift itself. 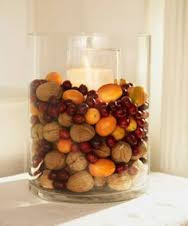 Display winter's most festive foods in a glass vase with a candle in the middle. This one has walnuts, cranberries and kumquats. 7. 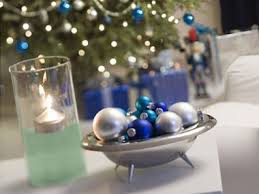 Trade garland for candles : Instead of a garland, a great way to dress a mantel is to fill it with a mix of candlesticks — tall, small, mercury glass, crystal — and put a beautiful vase of flowers in their midst. Everything glitters. And instead of ivory candles, use red, cranberry and shades of green. 8. 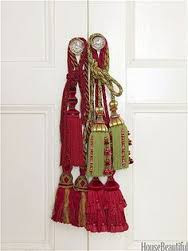 Try tassels : Just for the holidays: Try hanging red and green tassels on your doors, desk and chest of drawers. They're a nice detail, a lovely finishing touch and a look you can achieve on a budget. Everything is looking so festive. Adore! Thanks for giving me an idea.